great product and great speedy service! As per normal easy to order and a quick delivery, trouble free transaction. Battery was delivered well within time slot ,excellent price and packaging . Excellent service from Tayna. Very quick delivery. Good price. Excellent product that worked first time straight out of the box. Brilliant service, was delivered within 36 hours, which was great. I was caught out with a battery failure [due to failure of the trickle charger] and needed one quickly as the MOT was due. Your price was 40% less that Halfords, but surprise, surprise the battery was exactly the same, even to the booklet attached to the side. Battery arrived less than 48 hr from ordering, ready to go. I love the use of egg boxes for packaging. Quick delivery. At last, an instant start. Perfect and incredibly fast service. Well packed with instructions. More batteries for me from here! Bought a new battery for my 1970 Buick Skylark. Found the website really helpful in helping me choose the right battery for my unusual model. Delivered to my door super fast. Fitted perfectly and started first time (hadn't been started in 2 years). Bought 2 batteries for my car (i using 2). Was delivered next day, as agreed. I`m definitely happy with my purchase and will recommend to others. Perfect, old series 3 (petrol) Land Rover starts like a dream. Not used often but fires into life now first time. Quick and efficient ordering and delivery service. No issues at all. Its the first time Iv'e used Tayna, and I will def be using it more often. 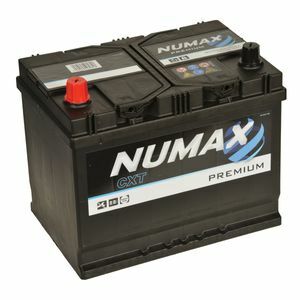 The Batteries are well worth the price, the service is top notch and delivery was quick and efficiant! Well done! Excellent service and very speedy delivery!